Wild product: the orange colour of the fillets varie with each individual fish. Wild product: Pin bones remain in the fillets..
Quick, Delicious, Healthy! 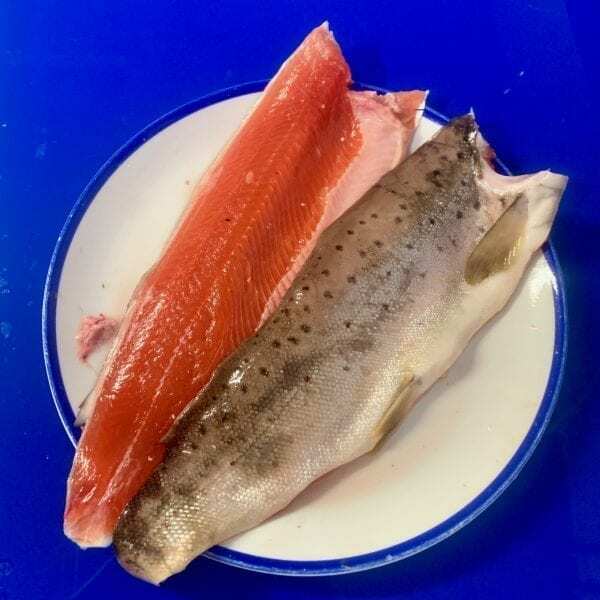 Trout is a great alternative to Salmon & Better Value too! 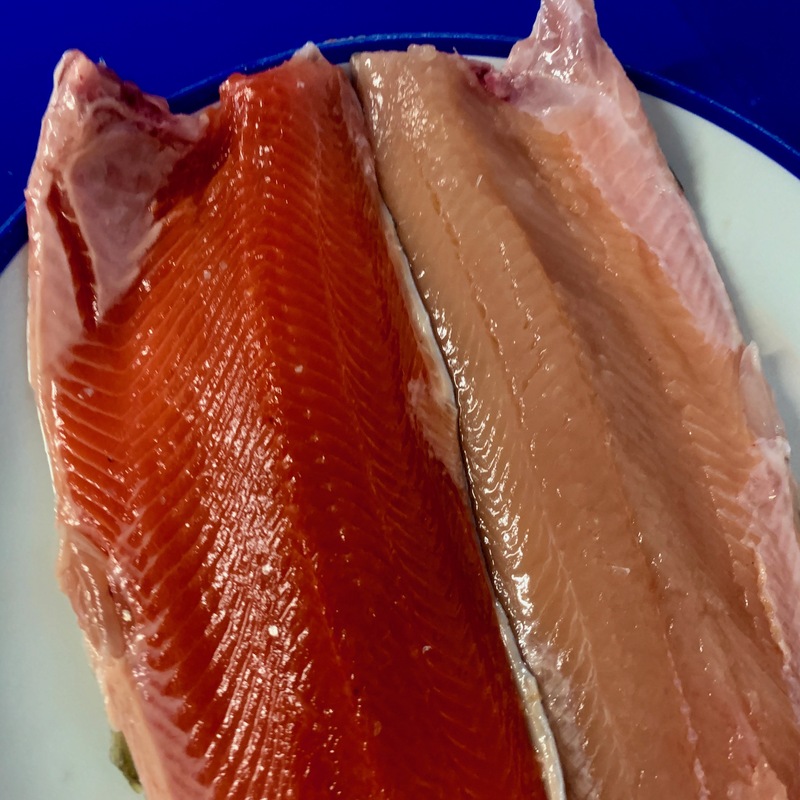 Have ready your skin-on Trout Fillets from your favourite fishmonger (us of course!) Get your non-stick pan on a medium heat. Add a dash of Olive Oil and a knob of Butter. Cook the Trout skin-side-down for 3 minutes, carefully flip on other side. Cook for another 2 minutes and add minced Garlic (plenty), Parsley (lots) and a squeeze of Lemon Juice. Season to taste. Make it look fancy & impress: Finish off with a Zest of a Lime, Lemon or Orange. Serve with any steamed vegetables. You should be able to remove the bones pretty easily once cooked.